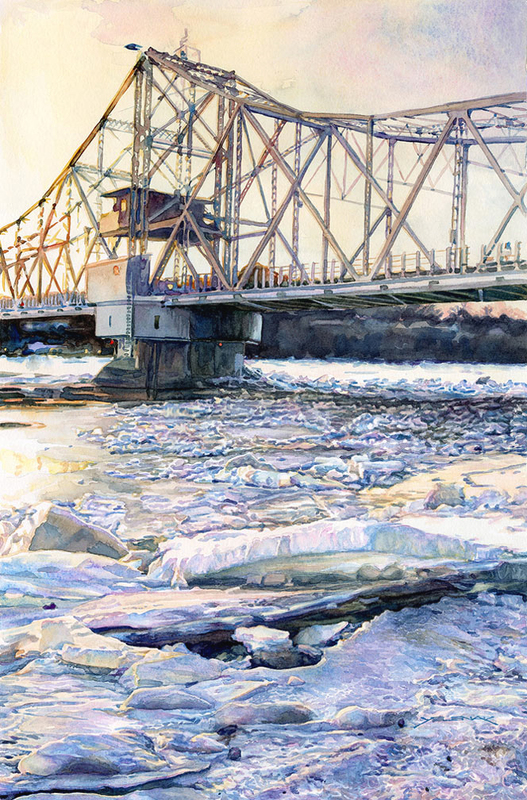 Size: 14.5" x 22 "
In the winter of 2017 the temperatures grew so cold a lot of ice formed in the Connecticut River. 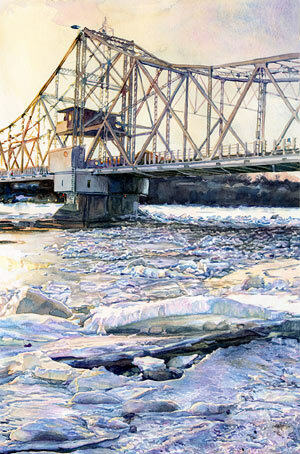 The ice piled up at the bridge in Haddam near the Goodspeed Opera House. One Sunday my wife and I went to see this phenomenon for our selves and as the sun was setting this is the view we had. 2018 " A Sense of Place: Land Sea and Sky"